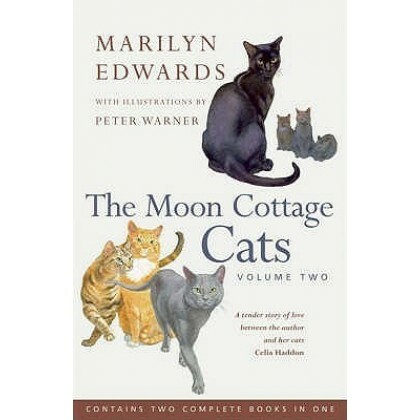 As a beautiful companion to the much loved “The Moon Cottage Cats” Volume One, this second volume is a must read for anyone who delights in Marilyn Edwards’ ability to bring to life her experiences with the feline friends who allow her to live with them. Beautifully illustrated throughout by Peter Warner, the last two books in the series, “The Cats on Hutton Roof” and “The Coach House Cats” discuss passion, love, laughter, tenderness and above all, why cats matter. This omnibus edition paperback includes both stories “The Cats on Hutton Roof” and “The Coach House Cats”, the final two books from the moon Cottage Quartet. This is a lightly used copy of the paperback edition in excellent condition and signed by Marilyn Edwards specially for customers of Erin House.